My girls and I love fun educational things to use at the end of the school year. The past couple of months they have been reading Orphs of the Woodlands from Star Toaster. 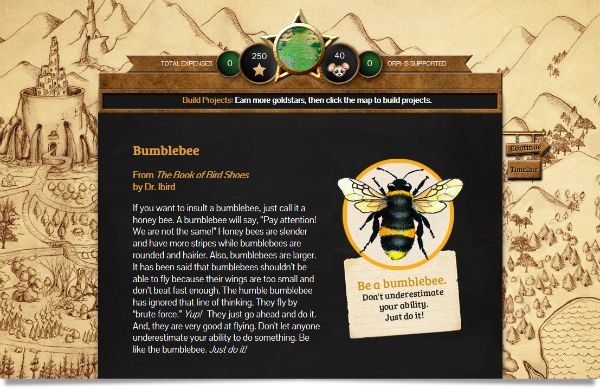 It is a fun interactive book that takes them on an adventure while working on academics. 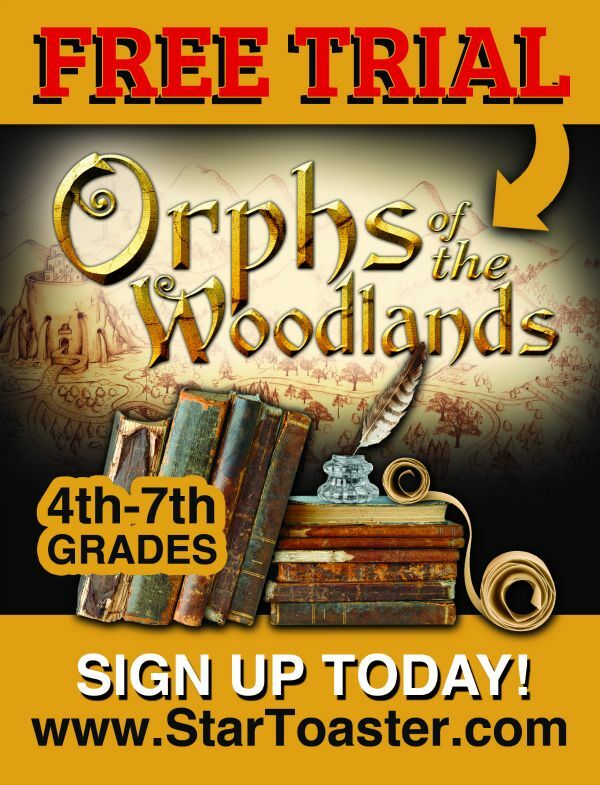 Orphs of the Woodlands is the first book in a series of online adventure books. There is nothing to download and the only requirement is internet access. 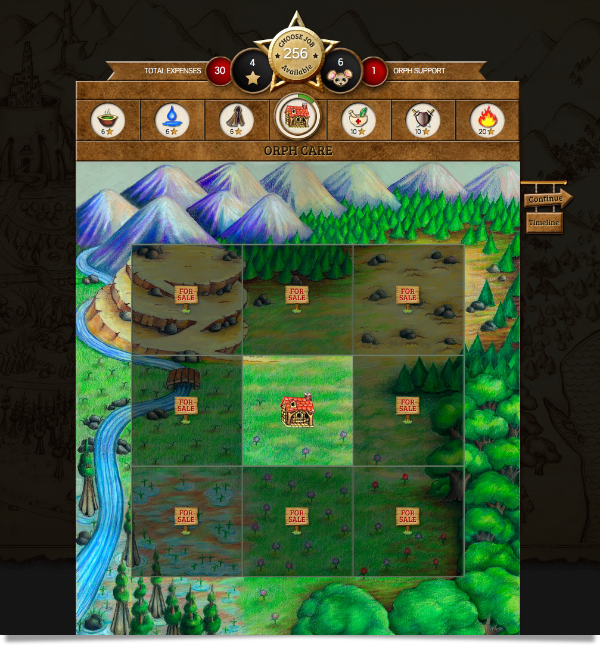 Each student has their own login and their adventure starts where they left off each time. The parent also has their own login to see what each child has accomplished. All family accounts will use the same email, but everyone will have their own password. In Orphs of the Woodlands the student gets to be the main character which is a squirrel. They get to name him and choose his character traits. The story line leaves the squirrel an orphan that lives in a tree trunk. He has a sign on his tree telling other animals that he is a rabid creature. They throw nuts into his tree trunk to be safe when they pass his tree. He does this because he himself is an orph and needs food. He becomes a spy for the WAK underground to defeat the night creatures and find the treasure in the highest tower. Along the way he gets a reputation of helping other orphs when they ask him for help. While the student reads the story they can read letters, see recipes of the food the characters eat, hear some audio and watch video clips, press on vocabulary words to see the definitions, and see details in a popup about each character. After reading a chapter you can do jobs according to what you learned in the lesson. You receive gold stars for questions in the jobs that are answered correctly. Once you are finished with the jobs you can buy things with the gold stars. You can buy wheat, houses, land, and food to give to your orphs. The jobs include math, science, language, vocabulary, thinking skills, character, life skills, and the arts. The questions are all multiple choice with printable recipes in the life skills, and different types of art are taught through samples and questions. All three of my girls have been reading the story and are enjoying it. Delaney and Alaina are still reading the book, but Amber has finished it. This program is recommended for students in 4th-7th grades. Alaina is the only one in this age range. She loves the story, the characters & especially the recipes. She thinks there are to many math problems for her & she did ask for some help with some vocabulary, but I thought it was a good mix to challenge her even with a little help. Amber actually flew through the book and jobs and thought it was a fun assignment. All three of the girls really liked the story line & had fun telling me (with a lot of details) what was going on. The variety of jobs was a good mix. They thought it was cool that the recipes were included. We already make a lot of the recipes that were included, but the last time we made biscuits we had to use the recipe from the book. When I log into my parent account I can see all three of my girls accomplishments at a glance. I will then have access to all eight skills. I can choose to see their progress in Math, Science, Language, Vocabulary, Thinking Skills, Character, Life Skills, or The Arts. I also received email notifications every once in awhile that were very helpful. They told me things my kids were learning & gave me a progress report for each child. No matter how your children are being educated this is a fun way to get your kids reading. This would make a great summer reading activity to keep their brain going while on break.